I know all too well what it feels like to be shopping on a budget for stuff for your children, and helping you find the best cheap tablet for kids is something that I hold a little close to my heart. I’ve been there. I’ve felt it. I know the emotional turmoil that can be felt when you want to give your kids the best, but you feel like there’s simply no way financially that you can afford to. It’s scary. It stinks, and I honestly extend to you my best wishes. It wasn’t long ago at all that I was digging through clearance bins at Wal-Mart and my local dollar store on a very limited budget with Christmas only a couple of weeks away. My budget at the time? $100, and it was a miracle that I could come up with that. All the bills were behind, and it was a juggling act from week to week figuring out which bills would be paid, and which ones I could push back another week or two. Okay, I apologize for going a bit too deep on you about my past. I just want you to know that I’ve been there, and felt the way that you most likely do. Again, I extend to you my sincerest best wishes for a brighter tomorrow. Now, I’ll shut up and get back to it. Okay, so few things make me angrier than to see people willingly rip people off who are in a desperate situation. If you’re trying as hard as possible to get your kids the best on a budget, you don’t want something that’s going to break within days of giving it to your child. Even worse, is when it shows up the week before a birthday or Christmas and it doesn’t work when your child goes to turn it on. Yes folks, it happens, and more often than I’d like to see. Out of all the tablets I’ve purchased for review on this site, I’ve had well over a dozen arrive broken and completely non-functioning out of the box. Unfortunately, there are a lot of lesser known companies that claim to make “kids tablets,” and they’re nothing more than $20 imported knockoffs that come pre-loaded with spyware and other such garbage. They import these blank tablets from China and then simply throw a brand or sticker on them and out the door they go. Normally, these tablets sell for anywhere from $40 – $60 with the majority selling for right around $50. Frequently, these companies have no customer service. They have little to no warranty, and worst of all, the tablets often die in a week or less. I urge you to PLEASE NOT BUY THESE TABLETS!!!! I’ve seen nothing but a string of complaints on them, and normally they’re the same issues over and over again. I honestly can’t tell you how many parents I have every year desperately messaging me for help on Christmas Eve or Christmas Day because their child’s tablet refuses to even turn on and it was their big or only gift. It’s heartbreaking, and if I can help just one parent avoid that, then I’ve done exactly what I hope to do with this post. Alrighty, let’s get on with it then, shall we? What’s The Best Cheap Tablet For Kids? Okay, so after considering the best cheap tablet for children, regardless of age, and trying to just average it all out, I’ve chosen the Kindle Fire 7 Kids’ Edition as my top pick for the best cheap tablet for kids. Why is this my choice? Well, there are a few reasons. Quality Video Entertainment – The Kindle Fire Kids’ Tablets can play Netflix, YouTube, and Amazon Prime videos. There are also some videos that are included to download to the device without any additional services. Most other tablets charge up to $20 for short 30 minute tv episodes. Great Apps and Games – Thanks to Freetime Unlimited, which is included for a year, your child will have access to all the free games and apps that they could ever want. Best of all, they’re all included. Other tablets charge anywhere from $2 – $30 per game, depending on manufacturer. AMAZING Warranty – It comes with a 2 year “they break it, we replace it” kind of warranty. You know it’s going to work well out of the box when Amazon promises to replace it if there’s an issue. So, as you can see, even though it may seem like this tablet is a bit more expensive up front, it honestly isn’t thanks to the fact that you get all of this included. 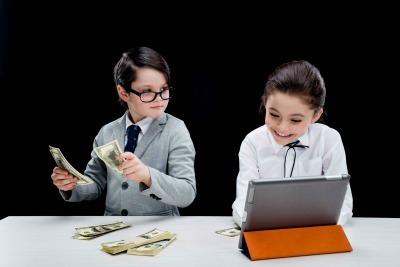 With almost every other tablet on the market, especially the lower priced ones, you can count on spending at least $30 – $50 for your child to have any games to play on it. 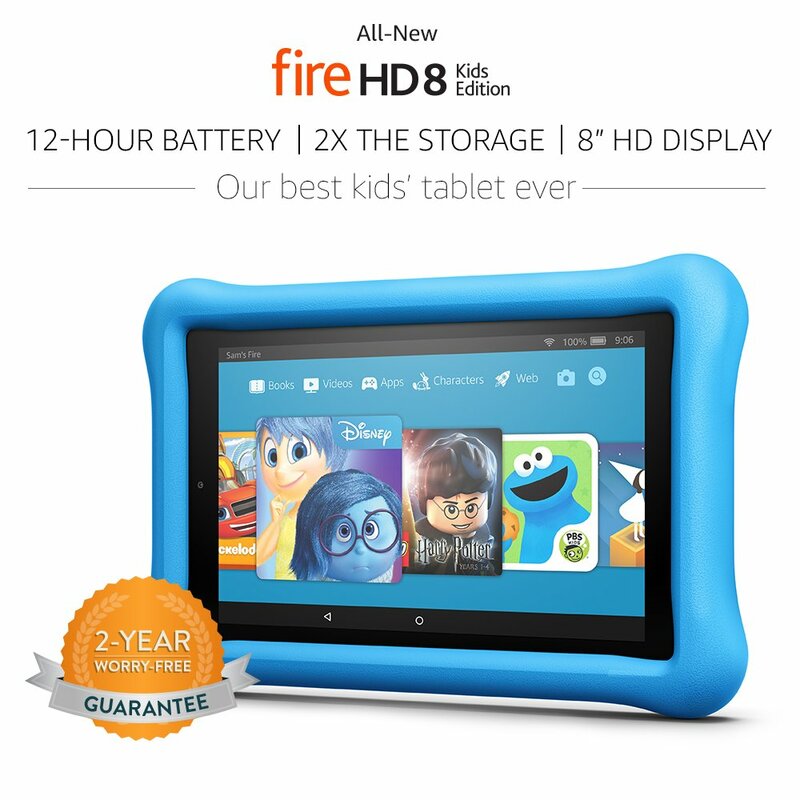 Also, the Kindle Fire Kids’ Edition tablets are all backed by Amazon’s 2 year worry free warranty, which as we all know with young children, is worth its’ weight in gold. 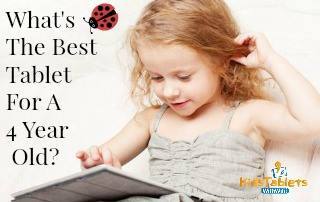 Do you agree with my selection for the best cheap tablet for kids? Do you feel I should have chosen differently? Please share your thoughts and comments in the comment section below, and once again I truly do wish you and your children the best. Thanks for reading!